Delivery June – ORDER NOW! We believe in our products and want you to be absolutely happy with them. If, for any reason, you are not 100% satisfied at any time in the first 30 days after you received your products, just return your product for a full refund of the purchase price. That way you can test the products yourself and become convinced of their features and advantages. Getting caught in a stirrup can lead to dangerous accidents. Every aspect of Ophena – from its open design to the magnetic system to the footstopper – is designed to keep you safe. So you can leave risks aside and focus on the ride. Your safety is paramount. And we know too many riders who were severely injured using traditional stirrups or due to a fail of their stirrups’ safety mechanisms. So we decided to go a step further and open Ophena up on one side to minimise your risk of getting caught. To avoid losing the stirrup, we added an advanced magnetic system to support your feet and improve the connection between your boots and stirrups. Lastly, we added some additional outer support on the open side to keep you safe in the unlikely case you should slip. And don’t worry, the magnetic connection is only so strong that it will certainly release you in case of a fall. One of the main reasons for why professional riders love Ophena is the magnetic system. It makes the stirrups follow your feet, helps you keep the right foot position and gives additional grip in any weather. And should you fall, it lets you escape without any effort. Ophena's advanced magnetic system enables a connection between the Ophena stirrups and the Ophena magnetic insoles, which come with our magnetic stirrups. You simply slide the insoles into your riding boots and are ready to go. The system consists of several finely attuned magnets and steel plates, which generate two contrary fields between your boots and the stirrups. Great in theory and even better in practice. Ophena’s patent-pending double-arm architecture with Smart Attach™ locking mechanism allows you to attach and detach the stirrups quicker than ever before. No need to fully remove the stirrup leather from the saddle, saving time and preserving the leather. Pass leather buckle through Ophena's double-arm. Guide leather upwards through the smart rib. Ophena is in place. Buckle the leather as usual. Ophena will easily lock itself against any saddle. Design and Materials. Made to last. Ophena is well balanced. So you can be, too. 4° tilt. For even better foot support. Certainly the most useful piece of equipment I've tried this year. They not only look fabulous, but also make me feel so much safer and in control. Didn't take me more than 10 minutes to completely fall in love with them. 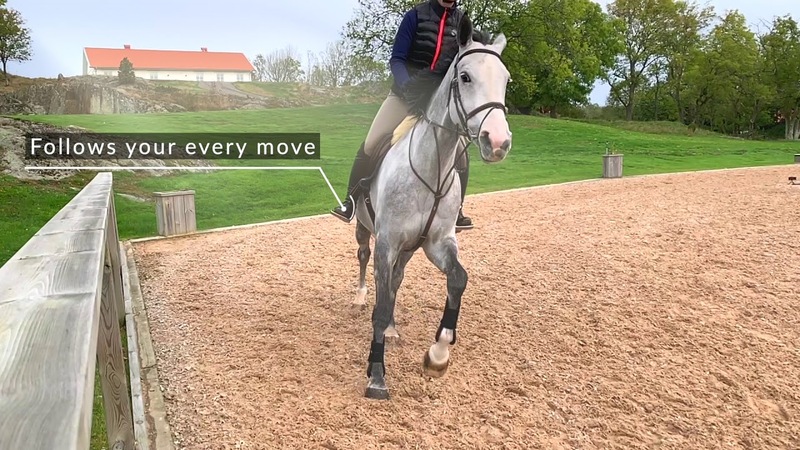 I feel a really good connection to the stirrup, both during riding and jumping. Those stirrups definitely take riding to the next level. I was a bit sceptical, but convinced after a few minutes. Really love how they improve my balance, while still allowing me to adjust my feet. How cool are those here?!? Experience the best ride with Ophena’s advanced magnetic system. The Ophena S and Ophena T have an invisibly integrated magnetic system and come with magnetic insoles, which you simply slide inside your riding boots. Ready within seconds and absolutely hassle-free, this magnetic connection helps you keep the right foot position, and gives you additional grip in any weather. You can relax your legs and ride with ease. There are many so called safety stirrups out there, but their reliability is questionable. We simply know too many riders who were severely injured due to a fail of their stirrups’ safety mechanisms. We believe that a safety stirrup must never break, keep the rider’s feet stable and reliably release the foot when the rider falls. That was the starting point of our development and is the most integral part of Ophena. Due to Ophena’s totally open design, there are no safety mechanisms that could fail. The magnetic connection is adjusted so that it helps during the ride, but releases in case of a fall. Attaching and detaching stirrups just takes too long. With Smart Attach™ you don’t have to detach the whole stirrup leather. Instead, you can easily slide the metal buckle through opening in the arms. Suddenly mounting becomes easy and quick. Due to its carefully adjusted weight and the 90 degree twisted mounting hole, Ophena remains in a perfectly stable position. It is very centralised and keeps you steady while riding and jumping. Ophena has been developed in a Swedish-German collaboration with the involvement of pro riders, coaches and industry experts. We designed and manufacture Ophena as one single metal body, making it strong and fascinating to look at.